The EGIA Foundation Scholarship Program was established to recognize the excellent and deserving students seeking an HVAC technical education. This scholarship provides essential financial support to aspiring residential HVAC, green HVAC, or home performance contracting careers. Up to 20 eligible students will be awarded a $2500 scholarship to pursue an HVAC degree or certificate at an accredited community college, technical/vocational school, or approved technical institute during the 2019-2020 academic year. Applicants will be asked to explain what inspired them to choose an HVAC technical education and their plans upon graduating. A special thank you to EnerBankUSA, a charter donor of the Foundation. Through their support, we have been able to produce an industry-wide study and offer scholarships in the first year of our existence. 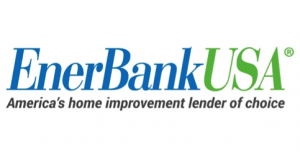 FDIC insured EnerBankUSA® is a highly specialized, national consumer lender that helps strategic business partners and independent home improvement contractors increase sales. Strategic business partners include manufacturers, distributors, franchisors, member or trade associations, and major retailers of home improvement, remodeling, and energy-saving products and services. They all rely on the bank to be here today and tomorrow to fund customer loans and help them achieve their business goals and objectives. Thank you ECR International for your generous support to the EGIA Foundation Scholarship Fund.